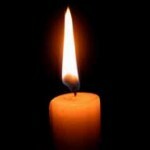 With great sadness we inform you of the passing of Mrs. Miriam Wudowsky OBM, wife of Rabbi Shmuel Wudowsky OBM, the noted Mashpiah of Machon Chana. She was 77 years old. 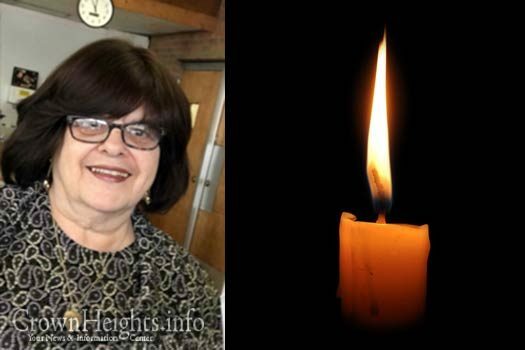 She was known to have an open home and welcome many guests along with students from Machon Chana. “She was an amazing woman with a huge heart. She was loved by everyone who knew her” related a family member. 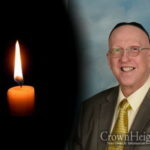 She is survived by her children; Ben Wudowsky (Far Rockaway, NY), Chatche Wudowsky (Crown Heights), Moishe Wudowsky (Crown Heights), Ettie Rosenberg (Monsey, NY), Dvora Shain (Monsey, NY), Yocheved Schmidt (Boro Park, NY), Fraidy Sitorsky (Monsey, NY), Esti (New Jersey), Tzivie Kugelman (Monsey, NY) and Shoshe BenAbou (Crown Heights). She is also survived by her siblings Moish Berkowitz (Five Towns, NY) and Vivian (Chaya) Chernofsky (Israel). 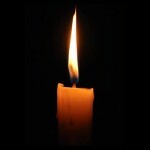 The Levaya will take place today, Monday, 12:00pm at Shomrei Hadas and passing by 770 at around 1:00pm. The family will be sitting Shiva until Yom Kippur at 762 Empire #1C. Shachris at 7:30am and 9:00am. Mincha and Maariv Bizmanom. WoW. BDE. She was a special woman. Always with a smile.